Senior Infant Adventures in Learning: Have You Filled a Bucket Today? 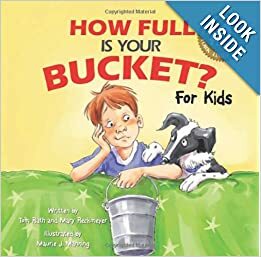 I had often heard of the book: How Full is Your Bucket? but had never tried it out as a lesson until now. I've used it recently with my class and not alone is this an excellent book for infants, but I think it could be adapted for any age level. You begin by either reading the story, watching the video or simply telling an adapted version of the story to a more grown up class level. 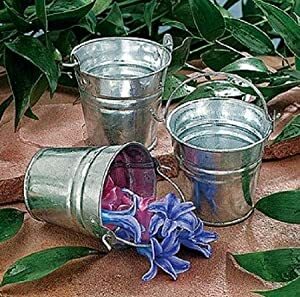 Use some props to tell the story: a couple of little buckets, some water and a little eggcup for taking water out of one bucket and putting it into other buckets. After reading the story, you can discuss ways that the main character could fill other people's buckets or how others could fill the boy's bucket. 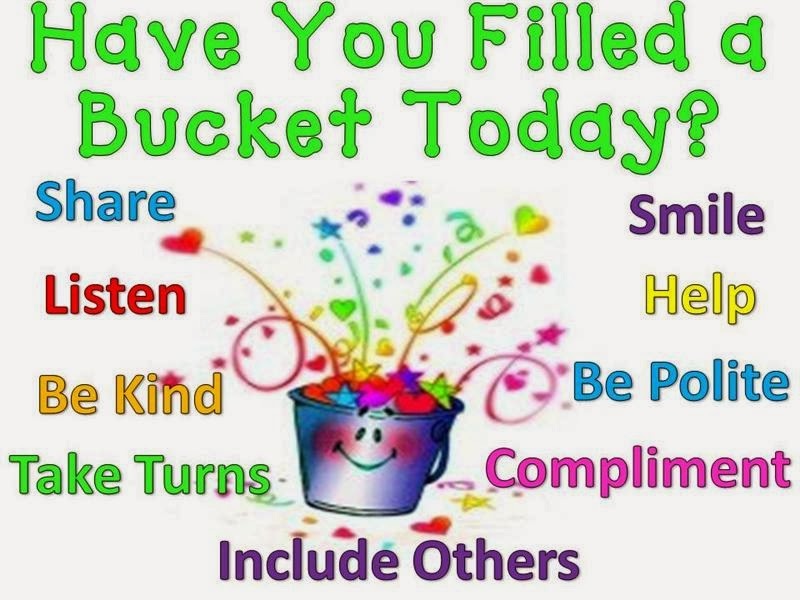 After the book has been discussed, you can get the children to either draw some examples of good deeds they could do to fill their bucket or write about them in a large bucket template. The children can then design and colour their buckets (find the template here), cut them out and glue them together (in an infant class the teacher would do this). You can stick them to a low noticeboard/easel/cupboard, alongside a bucket of little blank paper slips. In infants, the children can draw a picture on the slips of paper of a kind deed that they did that day and drop one into their own bucket and another into the other person's bucket. In older classes, they can write the deed on the slip of paper and put it into the two buckets. They continue to do this until their bucket is full (in one or two weeks). They can then bring home their slips of paper to show their parents and receive a smiley face for a full bucket (10 faces allow them to take a lucky dip prize - see this post). I like how the idea of self esteem is addressed through this story. It emphasises how good deeds don't only improve the other person's self esteem, but also gives the person who does it that 'feel good factor'. Children see a reason to be kind in life. It is not just because someone tells them that it is important but because they realise it will make them feel good about themselves. 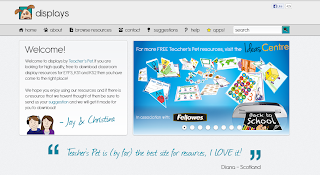 Teacher's Pet has lots of free display resources based on the topic if you are creating a display for your classroom. You can check them out here.